Denny Jump (Bellevue, WA, United States) on 15 February 2016 in Abstract & Conceptual. 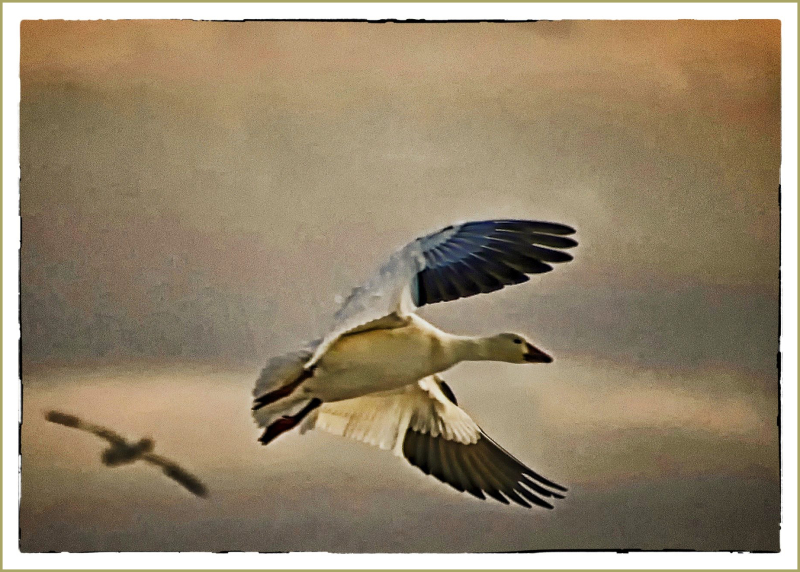 In January 2014, I was so fortunate to hit upon a local field that was hosting thousands of Snow Geese. Even better, the afternoon was growing late and the mostly cloud covered sky was reflecting some very soft but beautiful colours. This image is one that I spent quite a bit of time working with but could not seem to adjust it due to excess noise and not so great exposure. But I still loved the emotion of it. So I finally decided to Go with it and process it a bit more into a mild conceptual image. I would love to hear your comments, yea or nay ;-) Thank You. huge compliments, denny, on this artsy masterpiece! absolutely yea! it's fun to see what a little dallying with not so perfect photos can lead to! @Harmonia: Thank you so much Harmonia. A very artistic piece which I love! Really well done. @Steve Rice: Thank you so much, sir. A lovely artistic touch to this frame Denny!